In our Oriental culture & Spirit, the Flamingo is a one of the totem animals living on earth and bearing so many worth meanings. 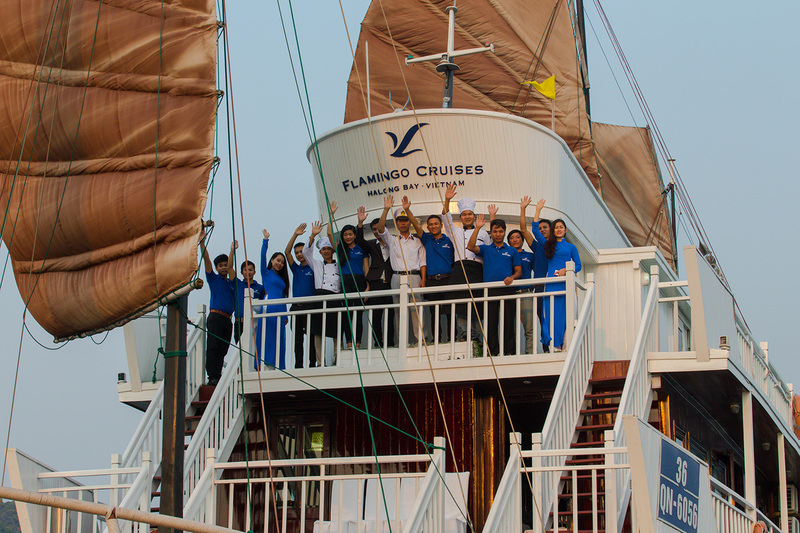 This kind of bird symbolizes for the long-life, elegance, wisdom, balance, good lucks and happiness and that is the reason why we decide to name our cruise’s brand as “Flamingo Cruise” Built up completely since 2014, Our 4-star Flamingo Cruise has 3 floors with 14 cabins in total, in which there are 8 Deluxe cabins on the 1st floor and 6 other premium & suites cabins on the 2nd floor and its luxury restaurant & bar plus the sun-deck are on the top one. 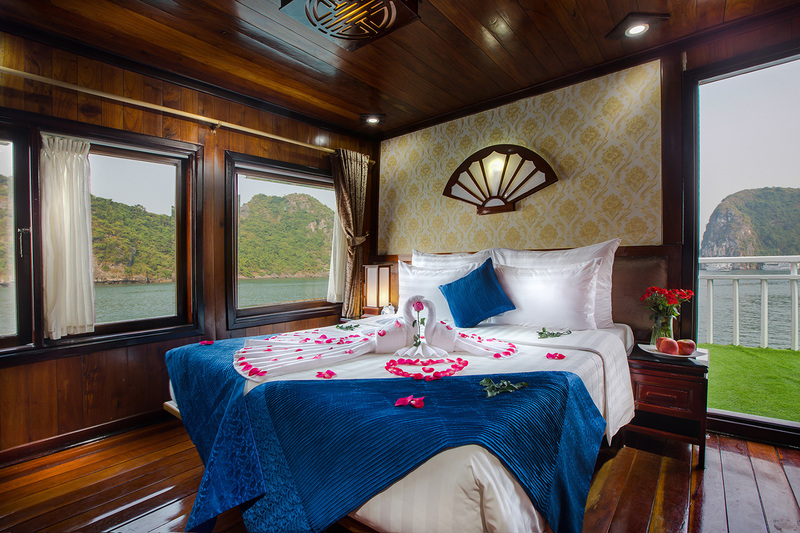 In general, the cruise features spacious, well-appointed cabins and suites with large en-suite bathrooms, large sun-deck with comfortable lounging furniture and elegant dining rooms and bars. 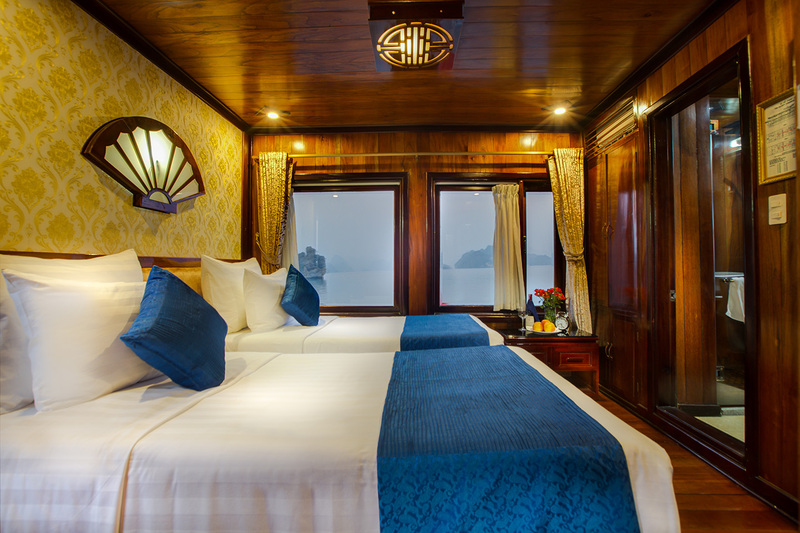 We have designed and fitted our boats to international standards while maintaining traditional style, creating the perfect balance of modern comforts and nostalgic ambiance. 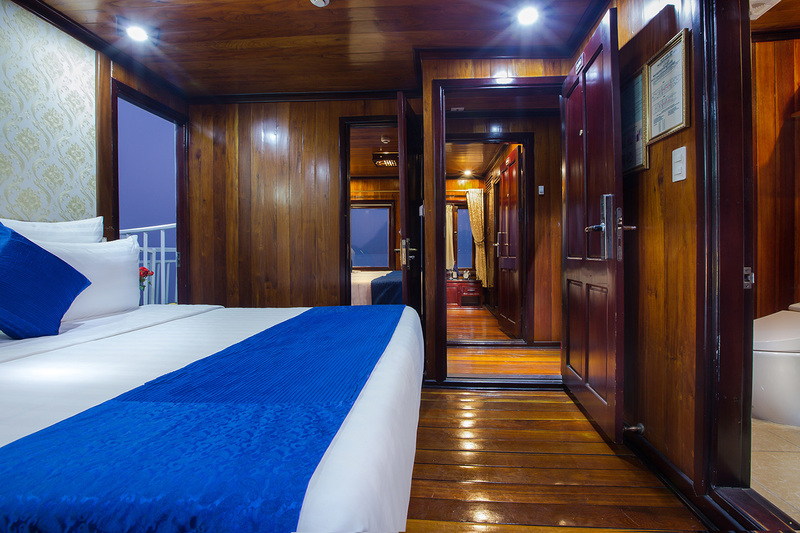 All cabins are well-organized and sophisticatedly designed by equipping a plenty of modern facilities & technology which look like you are staying at 4-star luxury hotels on land rather than a cruise in the bay. Here is also our major difference from other cruise owners. 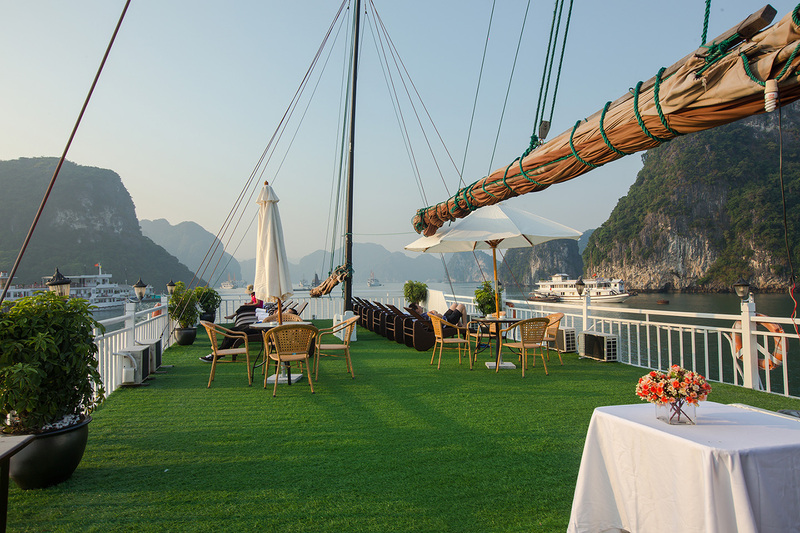 Besides the outstanding in-door services, our Flamingo Cruise also offers an exotic, refreshing and harmony itinerary to explore endless beauties in Halong bay. 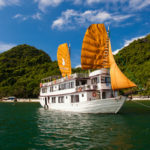 The cruise brings you into the contacts with the local people at different floating villages where you will have ample opportunity to see Vietnam in its authenticity and the sample local culture and foods and that is a unique way for our floating hotel to get you understood more and more about Vietnam. 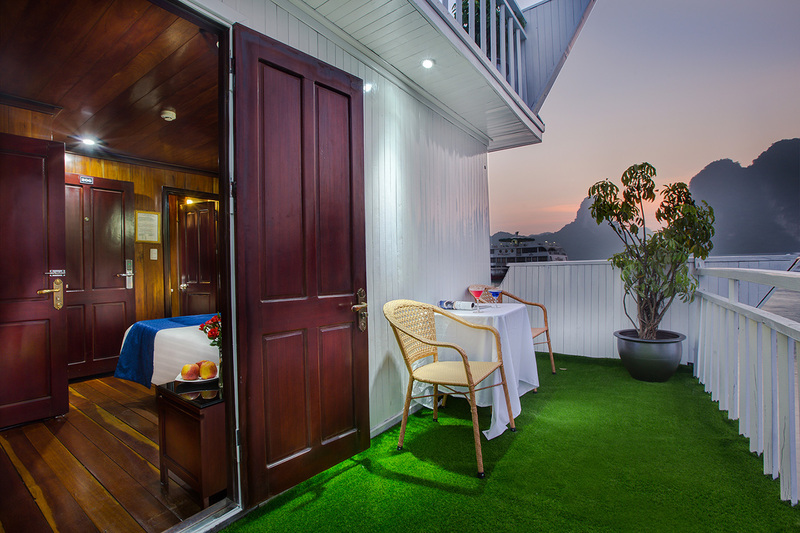 massage1It is ideal for you to enjoy the best time in Halong bay after you do some activities such as kayaking, swimming or caving. 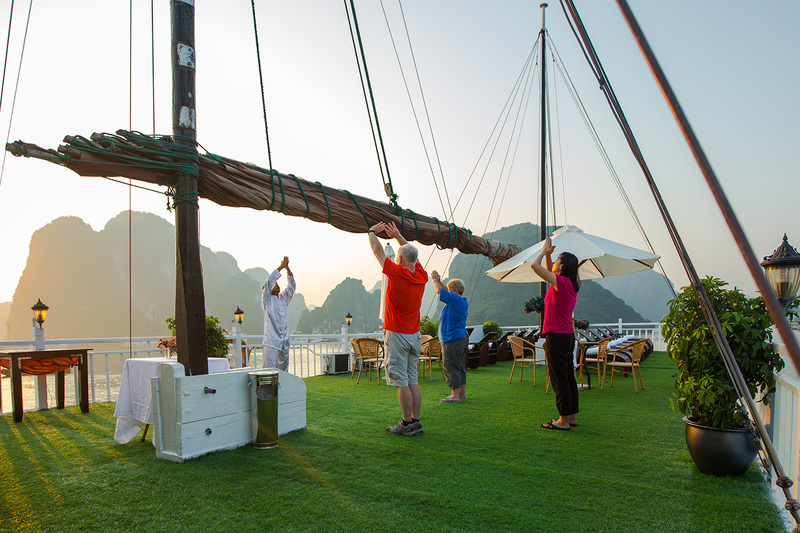 Renew yourself to continue exploring the spirit of Halong bay. 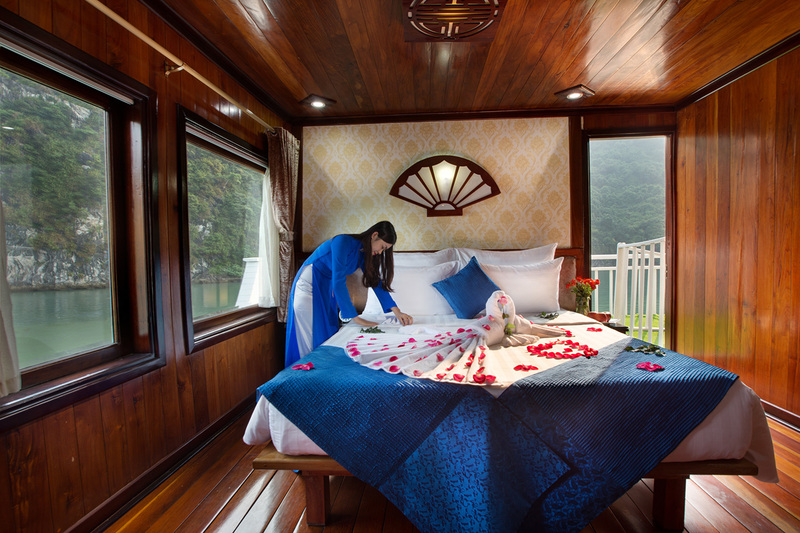 Foot massage, body massage and face massage are available on boat well-done by skillful massage staff. We strongly recommend to do this service in the late afternoon before dinner or before going to sleep. canoGet more experience about Halong bay, visit more untouched area with unique feelings. 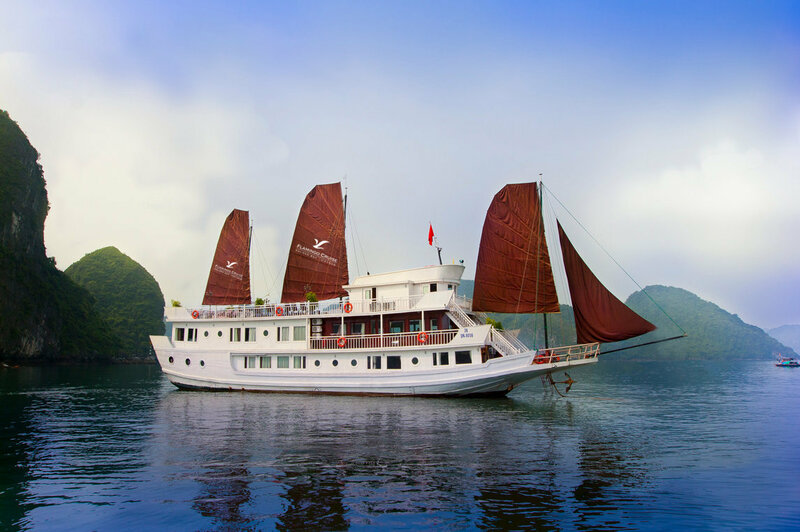 Doing the trip with this boat, you will get real experience about Halong bay and giving you hundreds of your singular photos. 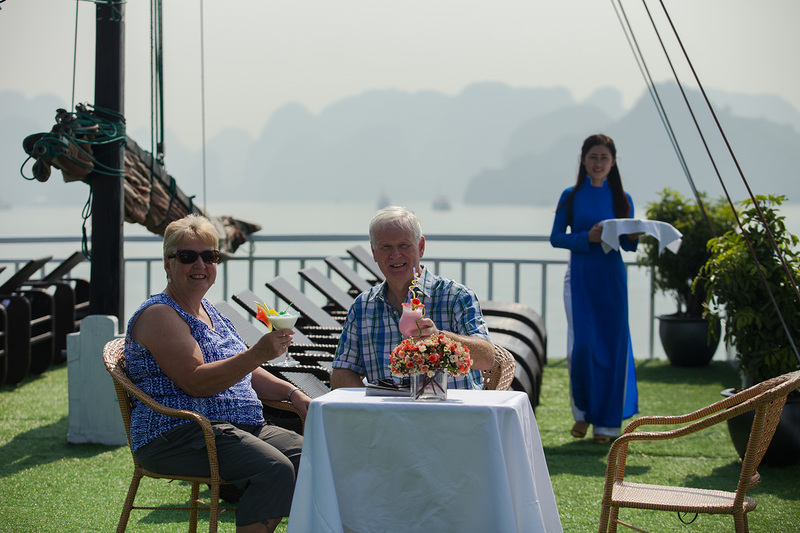 private guideKnowledgeable and dynamic tour guide will help you to learn more about Halong bay, go to private area and do the program by yourself. 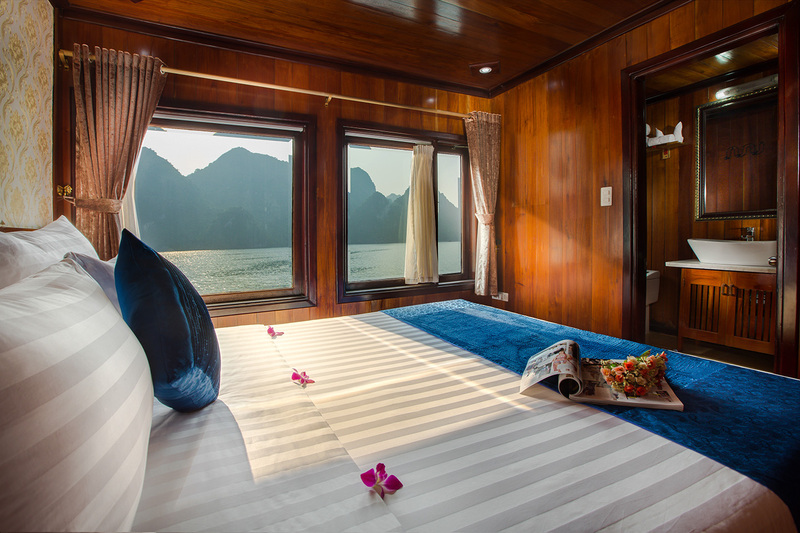 Otherwise, he will take care of you to supply an utmost comfortable plus memorial tour in Halong bay. Please request this service 2 days before your departure date. 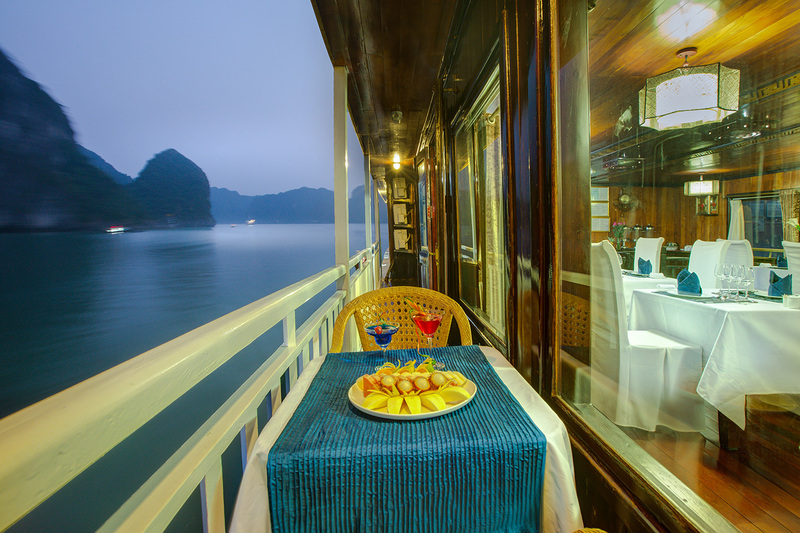 private carOur car is available to pick you up from Hanoi and transfer you to Halong bay. It is the most comfortable and convenience to do a trip – faster and flexible. 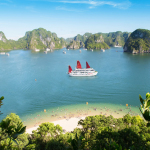 The rout of car is also flexible as pick up from airport and go directly to Halong bay. On the way, you could request driver to stop somewhere to take your awesome pictures. To book this service, you need to request us at least 1 day before departure date. 10:30 Stopover in Hai Duong City where you can experience our hand-made Vietnamese handicraft products. 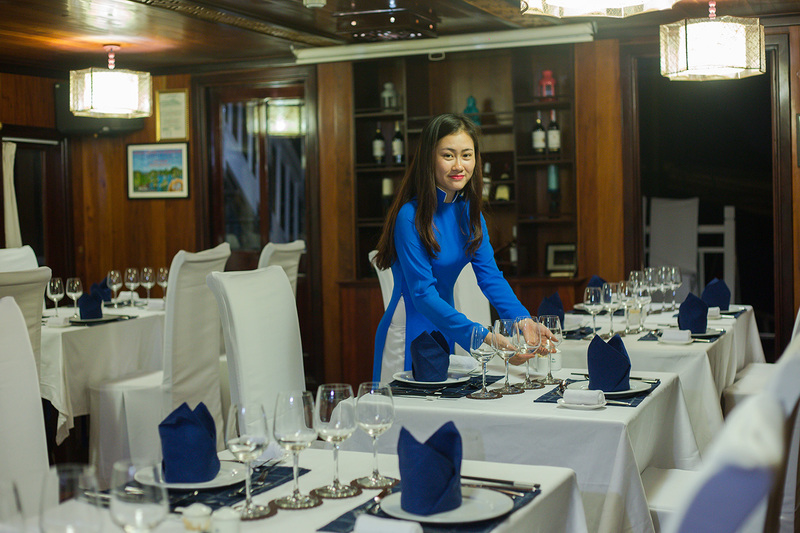 07:45 Arrive at the Surprising cave, the biggest cave in Ha Long Bay with 10,000 square meters, when you visit the cave like our Vietnamese house with three chambers as lobby, dining room and bedroom with most beautiful stalagmites and stalactites. We will tour the cave for about 60 minutes. 09:00 Upon return to the boat you will have time to freshen up and finish packing. When checking out please remove all of your belongings from the cabins, you may leave heavy luggage outside of the cabins. 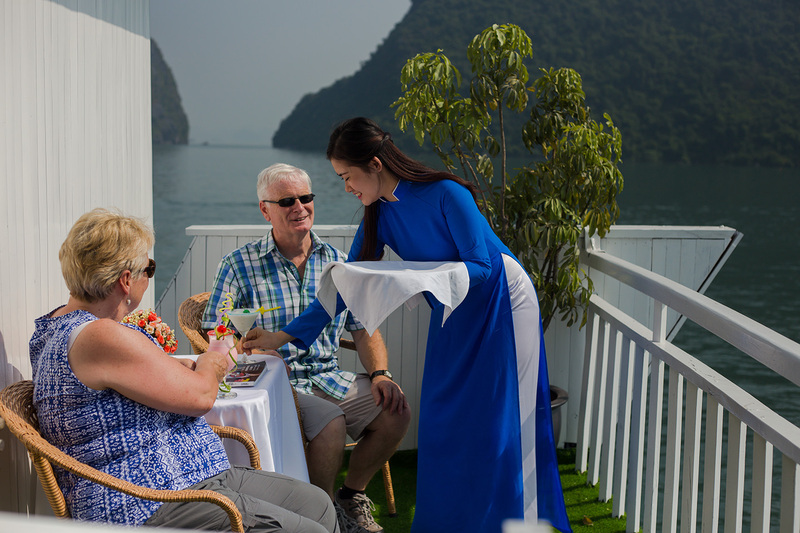 After brunch, Relax on the sundeck or in the dining room enjoying the bay scenery as we approach the pier. 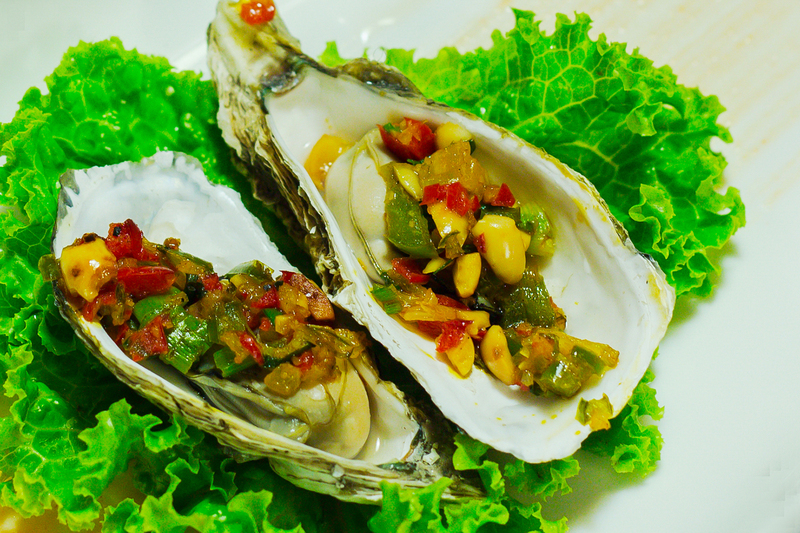 11:45 Disembark at Marina coffee – Gate 26 in Tuan Chau New Marina. 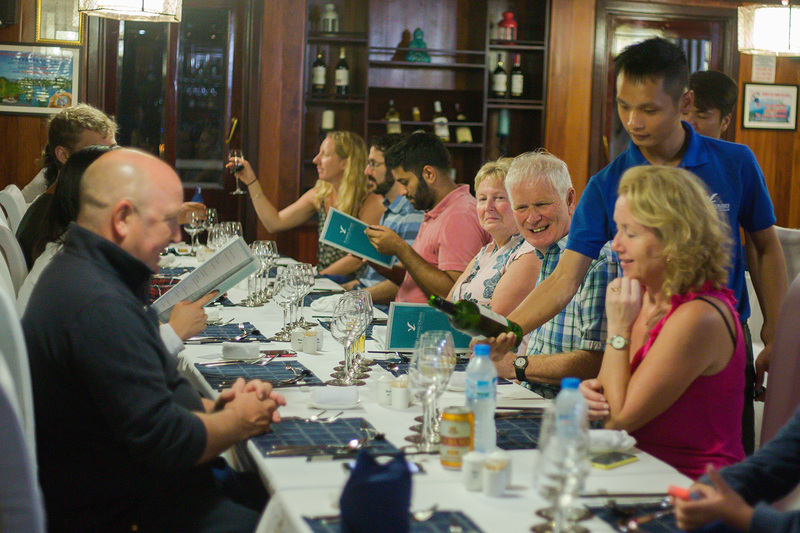 + Cruise itinerary and schedule are subject to change due to weather, tide levels and operating conditions without prior notice. + Swimming or kayaking excursions may be cancelled due to poor weather. Unused services are subject to nonrefundable. + In-advance register is required with name, passport, nationality, gender, and visa for all passengers. A valid passport is required upon check-in. Otherwise, boarding may be denied by port authority. 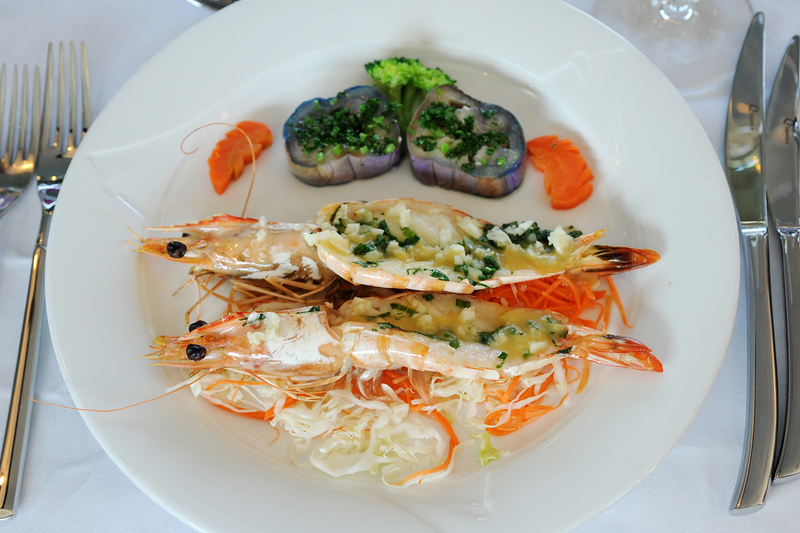 + Meals on board are fusion: Vietnamese, seafood & international. 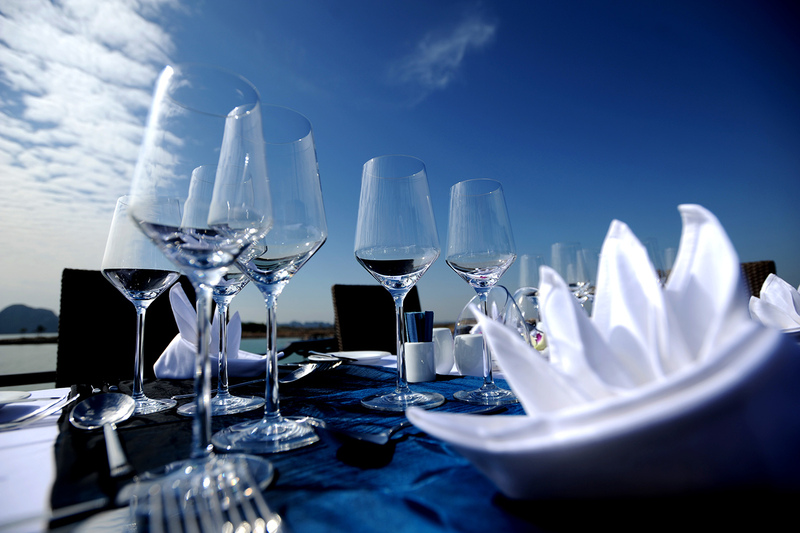 Guests should advise of any special food preferences, allergies or dietary requirements at least one (1) week prior to the cruise date. A child from 11 years old up will be considered adult. A child from 5 to 10 years old are charged 75%, sharing room with parents. A child under 5 years old are FOC, sharing room with parents. Surcharge USD 30/ Person for check-in on Lunar new year, Christmas’s Eve, New year’s Eve. + Enjoying more time exploring Van Gia Village. 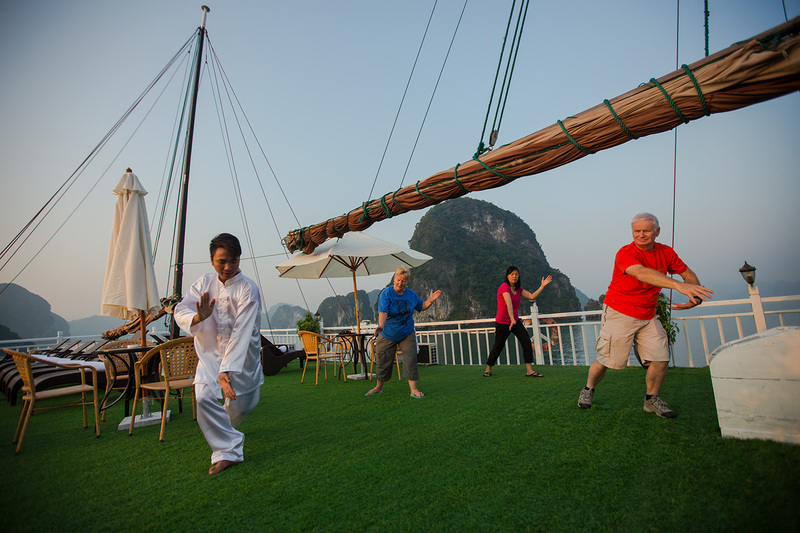 06.30 Enjoy Tai Chi instruction on the sundeck (duration about 20 minutes). 07.00 Coffee, tea and breakfast served in the dining room. 08.15 Transfer by tender to our day boat. 09.15 Set sail for the Kayaking at Trong cave. Join .There will also be time for relaxing on board and swimming while here. 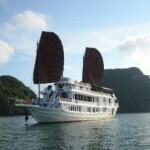 10.30 Back on board, set sail for the Pearl Farm Village, and visit Pearl Factory. 14.00 Join our Fishing activities. Try to be a local fishermen. 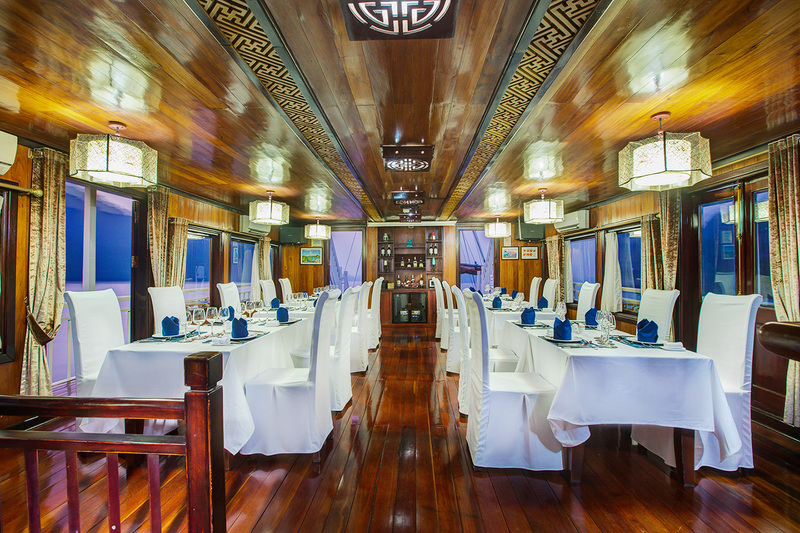 16.00 Return to the main boat and free time for spa, massage and sightseeing till dinner. 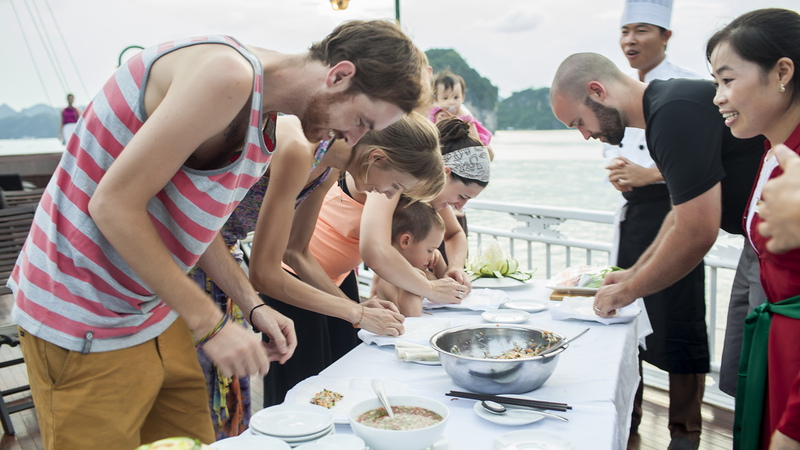 17.45 Enjoy Sunset party on the Top deck with Happy Hour (buy 02 drinks get 01 more free). a. Free of charge for one child below the age of 5 years traveling with two adults. Limited one child per cabin only. b. Children from 5 to below 11 years of age sharing a cabin with two adults on one bed are charged at 75% of adult rate, limited to one child per cabin only. No hidden fees, No extra costs! International Tour Operator License no 01-491/2012/TCDL-GP-LHQT.